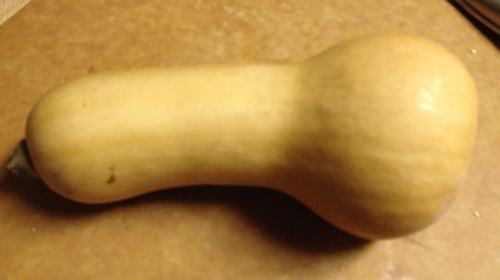 Alas, this is the last of the butternut squash from my garden. It is a cute little squash, pretty much half the size of my average butternuts. It is always with a bit of sadness that I make the last dish for each of the season’s crops. 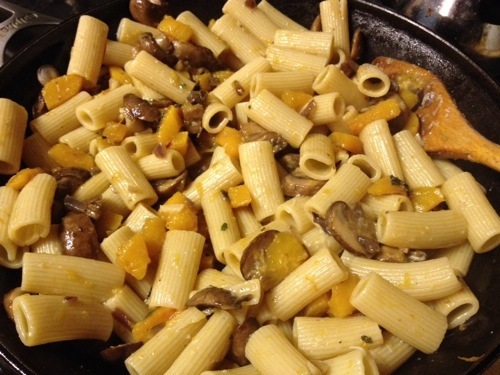 This pasta dish with butternut squash and mushrooms was a fitting tribute to the squash. 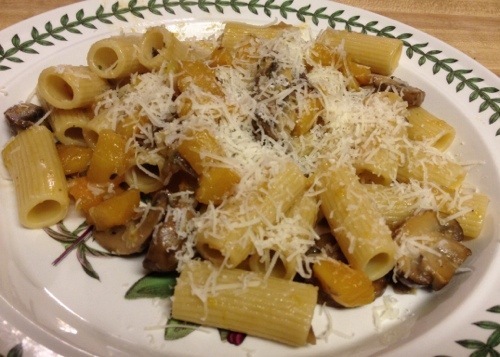 I wasn’t sure how I would like the combination of the butternut squash and cremini mushrooms, but they worked incredibly well together. It was a filling dish, yet also light and bright. Definitely a “keeper”. Bring a large pot of salted water to a boil. Add the pasta and cook according to directions. Reserve 1 cup cooking water, then drain. 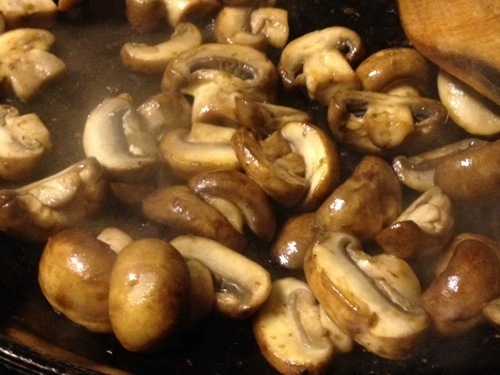 Meanwhile, heat 1 Tbsp olive oil in a large non-stick skillet over medium-high heat. Add the squash , 1/4 tsp salt and a few grinds of pepper. 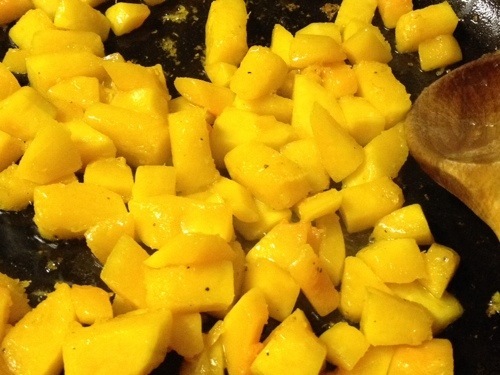 Cook, stirring occasionally, until golden and tender, about 5 – 10 minutes. Transfer to a plate and set aside. 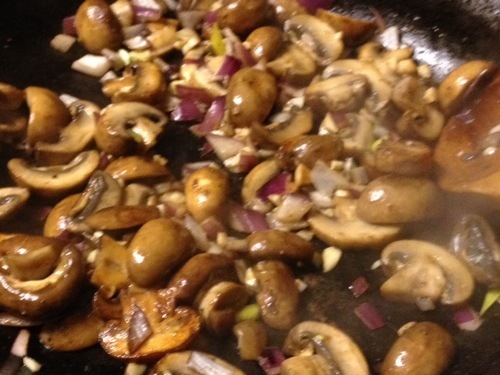 Add the remaining 1 Tbsp olive oil, the mushrooms, 1/4 tsp salt and a few ginds of pepper to the skillet. Cook, stirring occasionally, until lightly browned, about 5 minutes. Add the garlic, onion and red pepper flakes. Cook, stirring, until the onion softens, about 2 minutes. Add the pasta, squash and 1/2 cup of the reserved pasta water. Cook, stirring until heater through, 1 to 2 minutes. Stir in 1/2 cup parmesan, then stir in enough of the remaining pasta water to loosen. Stir in the oregano and season with salt and pepper. Top with remaining 1/2 cup parmesan and serve. Enjoy! That looks like a delicious, warming winter meal!